A Missing Vulnerable Adult Alert has been cancelled relating to the disappearance of Christopher Hill. Update - August 11, 2014 - New York State Missing Vulnerable Adult Alert for Christopher Hill/August 10 has been cancelled. Below is the original alert. Wantagh, NY - August 11th, 2014 - At the request of the New York State Park Police, a New York State Division of Criminal Justice Services Missing Vulnerable Adult Alert has been issued relating to the disappearance of Christopher Hill: age 21; from Jones Beach in Wantagh on August 10, 2014 at 2:08 PM. Christopher is a 21-year-old missing vulnerable adult who has autism. He was last seen at Jones Beach State Park at approximately 2:00pm and was wearing blue floral Hawaiian style shorts and no shirt. Christopher may have traveled to his home in Astoria Queens on a train. He may be in need of medical attention. If you have any information about the wearabouts of Christopher Hill, please call the New York State Police Department at 631-321-3700, or call 911. 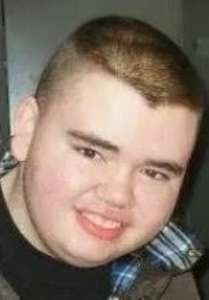 Subject: LongIsland.com - Your Name sent you Article details of "Cancelled: Missing Vulnerable Adult Alert for Autistic Man Missing at Jones Beach"